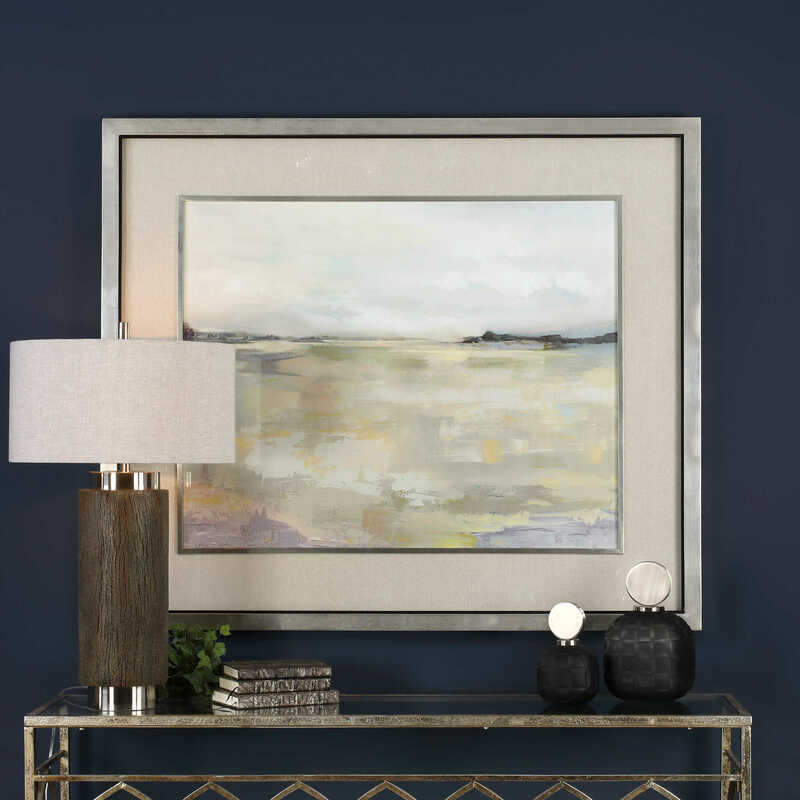 Contemporary and modern styles are showcased in this abstract landscape print. 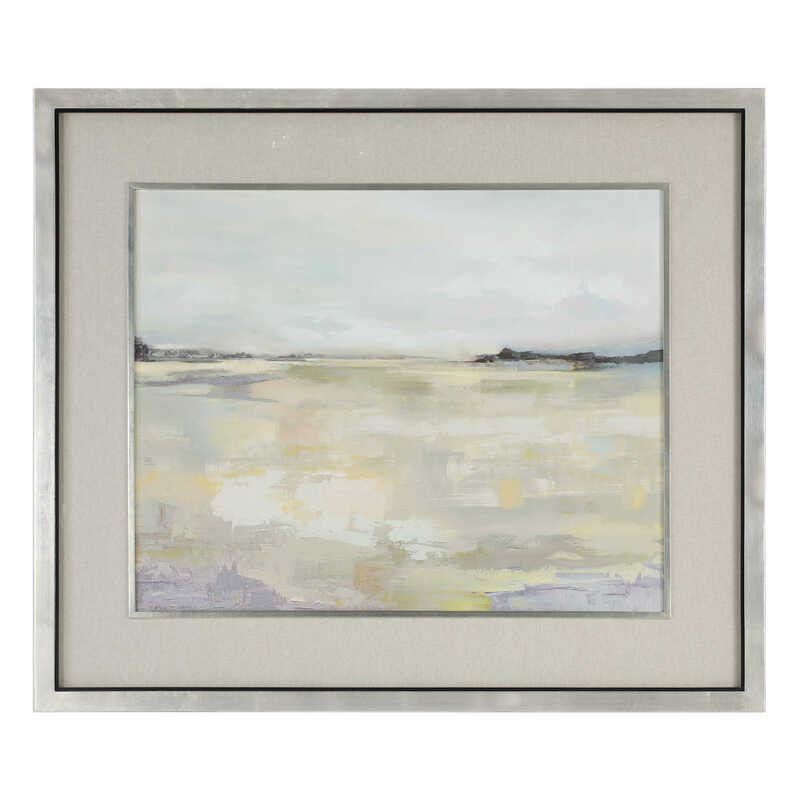 This artwork features mottled shades of lavender, sage green, pale blue, and cream and is accented by a cream linen mat. A silver leaf frame with a matching fillet and a slim, black satin inner lip completes each piece. This print is placed under protective glass.